Hello beautiful ones! I am back with part 3. After weeks of seeking for braces treatment, I'm finally settled down to Alfred Cheng Orthodontic Clinic. Dr Wee referred me to The Oral Maxillofacial Practice for my dental surgery. Unlike most people who need to remove just 4 premolars up and bottom, i am a little different from them. haha. Thing is, i am only doing the top braces. So whatever that needs to be done at the bottom won't be done for now. (I still have to remove my wisdom teeth and an ingrown tooth at the bottom perhaps years later). For now, I am only extracting my top 2 baby canine and 2 adult canine that are stuck inside my bone. So it is a surgery and thus i am given sedation. Located at Mount Elizabeth Novena Hospital, Specialist Centre. It just right outside Novena MRT station. Very accessible! I came for the surgery accompanied by my boyfriend :). Dr Wee gave me a check on my teeth. And then i went to do X-ray and CT scan. The CT scan is for him to see easier the position of my adult canine during operation. It costed $120 but it was waived off cause i am a student and he said since i am referred by Dr Wee. haha. Don't get confused. Both the orthodontist and surgeon are called Dr Wee. Then i waited for a while and went back in with my boyfriend into the consultation room. He then explained thoroughly what i will expect after operations and the risks involved. He is very friendly and patient! He even told us that his wife is from the same University as him. haha. That's because i met my boyfriend in University too. And he told me not to make any major decision after surgery as i will feel drowsy SO in case my boyfriend suddenly proposed i won't say YES. LOLOL. Ok end of joke and time for the operation! Last time seeing my two little cute baby canine that have been with me for over IDK how many years. Inside the surgical room, I was greeted by Adrian who is the anesthetist. He is super friendly too! haha. Pain level when he poke the needle into my hand? ZERO. ZERO PAIN LEVEL. I have zero pain lvl tolerance btw. So for me to say that it is no pain it really means you feel nothing. I didn't even feel a needle inserting into my hand actually. Ultra professional i must say. One Two Three I told Dr Wee "I think i am going to fall asleep...." AND I SLEPT. When i opened my eyes, i saw a nurse preparing some equipments. I was like damn i woke up already the operation haven't start??? Or wait did i even sleep??? The whole thing is like you close your eyes this second and the next second you are awake. So you don't know what is going on. But after about 5 seconds, i regained my conscious and YUP THE OPERATION IS DONE cause i felt big cotton rolls in my mouth. Looks scary but it isn't at all even though i felt scared then but didn't feel scared after knowing there's no pain. lol long english. Was very drowsy. Almost had no energy to speak. But i regained my strength shortly after. Overall, I was very pleased with their service!!! Everything is clean and neat haha. One tooth surgery is like $800 but can be claimed with medisave. And normal tooth extraction is $80 per tooth before GST. TIPS to reduce payment amount: Tell the staff that you don't need Panadiene. Well at least for me i didn't eat a single panadiene pill. I stop eating arcoxia which is a stronger painkiller on the third day of surgery. So you save $10 here! 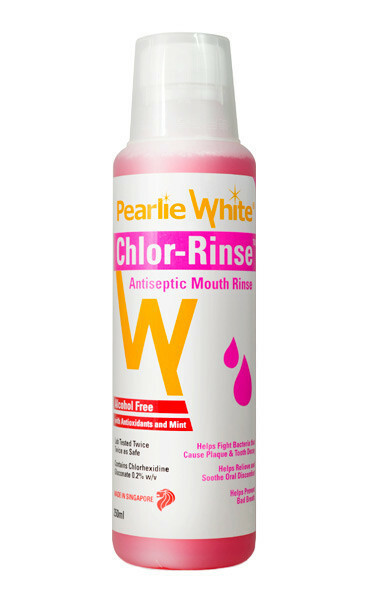 And then, tell the staff that you don't need the Pearlie White Mouth Wash. That cost $12 in the clinic and you can buy it from NTUC at $6.50 or Guardian at $6.90. So you save another $12 !!! Well technically you save almost $6. But it is really up to you. I can just take out another $16 since you are already paying hundreds for the surgery. But anyway i won't cause $16 can eat 2 pepper lunch meals. LOL. Alright, i hope my post helps to understand better the procedure and cost of dental surgery before braces treatment. BTW i saved almost two years for braces. I am paying everything out of my own pocket except Medisave. This helps me appreciate everything that i am doing now and also start to really cherish my teeth. I am drinking milk everyday and also doing decent brushing of teeth and mouth rinse too. I don't want to end up with denture when i grow old!!! Recovery period: On the third day, my face was super swollen. My nose was stretched both sides and everything just swell. I stopped bleeding after a few hours on the first day of surgery. I had nose bleed for an hour or so on the first day too as one of my tooth was very near my sinus area. After about 7 days, one side of my wound tore as i smiled too hard. You literally cannot move the upper part of your lip or else you will hurt your wound. The removal of stitches was supposed to be a week after surgery but it got extend to one more week due to the torn wound. Teeth was very 'sensitive' on the first and second day so i ate porridge the whole time. I got better after the 4th day and by the 5th day, i started eating nice food again. haha. On the 10th day, i can eat crab and prawn and all kind of food. However chocolate was a bit tough because it was still quite hard. I just removed my stitches yesterday and i am ready for braces this coming Monday. Overall, i would rate the pain 3/10. It was just uncomfortable that's all. Advise is please do not watch any comedy or laugh because you shouldn't be stretching your wound area :( . I started to bleed a little every time i smile due to the torn wound but now all the wound has healed! So i am ready for laughs and jokes. haha. Ok la i still can't laugh VERY LOUD though. Things to eat/do when recovering: I had pumpkin porridge almost everyday. Just buy pumpkin from NTUC, chop it into pieces and dump them inside rice grain to cook into porridge. I also eat a teaspoon of manuka honey every night before i sleep. Elevate your head when you are sleeping. Put on ice pack on your swollen area. Get lots of rest. And that is all! Not sure if it works for you but i just do the best i can for a fast recovery. If you are just removing normal tooth then your healing process won't be so troublesome and you can well go for braces on the second day after extraction. But for me, i'm taking almost 16 days. Click on My Braces Journey under Labels below this post for other parts. Hi Kacey :) Did you have to put spacers before your braces? Hi kacey is urs molar bands or bonded molar brackets at the back tooth? This blog is so awesome and very informative it really helps a lot. It may help more to a person who read this blog. Thanks for posting your blogs about Maxillo-Facial And Oral Surgeon. tips about genetic dental as well. If you want to know more about a career sites, please visit our website. you can check this website in oral & maxillofacial surgery.